Three weeks left for pre-orders! Anyway, hope you guys enjoyed this week's worth of updates. XD; Have a great weekend, and see you guys next Monday! LOVE YOUR MAMA this weekend! >___> And uh, I'll do something fluffy to make up for this terrible coincidence later, okie? Sorry guys XD;;; it was unintentional! wow. So inappropriate Rufi. Shoulda edited your script to account for mothers day. Put the father in there instead or something. Happy Mothers Day indeed. Dang... Kylie... Just...dang. So just a typical, normal Mother's Day, eh? The chapter title is slowly but surely making more sense, haha. And yes, the chapter cover is basically to foreshadow this event. XD; Good memory!! LOL, D. XD Everyone needs to watch that! LOL. OMG! She must have some very bad feelings about Mother's day! If they have such a celebration in their universe that is. They don't, though they do honour their parents through plenty of other ways. 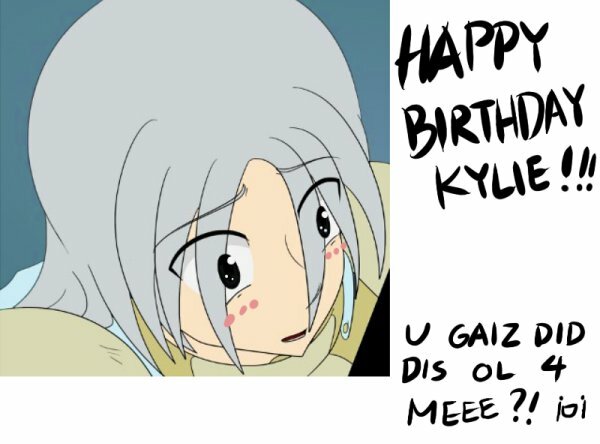 XD; Up until this point though, remember that Kylie could not recall the events in Halehurst, so she still held her mother in perfectly good esteem. Yay, another long form page. You're going to spoil us! LOVE the last couple panels. Super awesome. Kylie...time to channel all those feels into good old-fashioned angry. Time to GET MAD! Yep, time for a Polar Vortex. Her mouth may be saying one thing but her face is saying another. Fairly subtle work too, though it explains why she was silent in Kylie's dream; Neither of them trusted her voice/blocked it. Awwww Rinkel!! *hugs* XD;; keepholdingthatkittentight! Harsh. But too tired to write. Sleep now, comment later this weekend. I don't think that words and facial expression are necessarily at odds with each other. Rather I wonder what could get her mother to say that. Especially since it's obviously something Kylie never noticed even a trace of before. True, but that's not exactly on a "wish I'd never given birth to you" level. Especially considering her mom is the one holding her in that memory. And in a rather protecting way to boot. Oh, and: "I never asked for this!" Awww Proxy... yeah, I think most readers think there's something going on because it seems just too hateful, I suppose? XD; We'll seeee...! Awww Dama-nee I'm sorryyyy ;w;* *hands over fluffy kitten* Hold the kitten close! Very very very epic page. It's so striking and dynamically done. Seriously, you are THE bomb. Keep it up.